Suffolk House Antiques | A fine walnut armchair and a good oak candlestand. A FINE WALNUT ARMCHAIR AND A GOOD OAK CANDLESTAND. Two pieces just in. 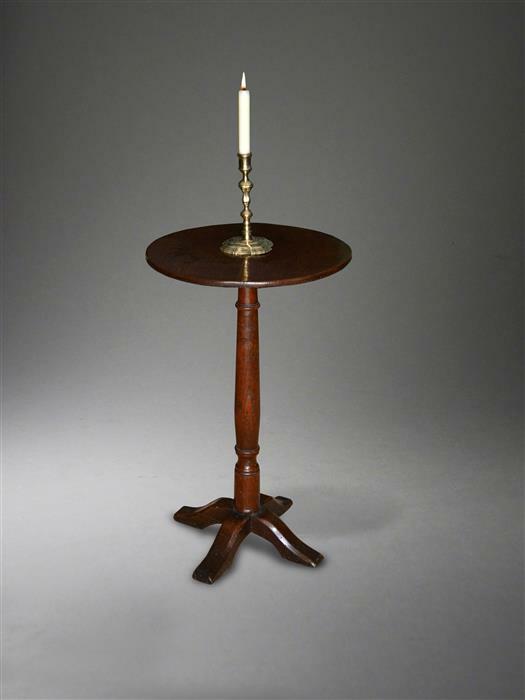 The oak candlestand dates to about 1700 and came from an outstanding collection of early oak furniture in Cumbria. It has a two plank top, an unusual turned stem and cruciform feet. It is in excellent untouched condition and is 16 3/4 inches diameter x 27 1/2 inches high. 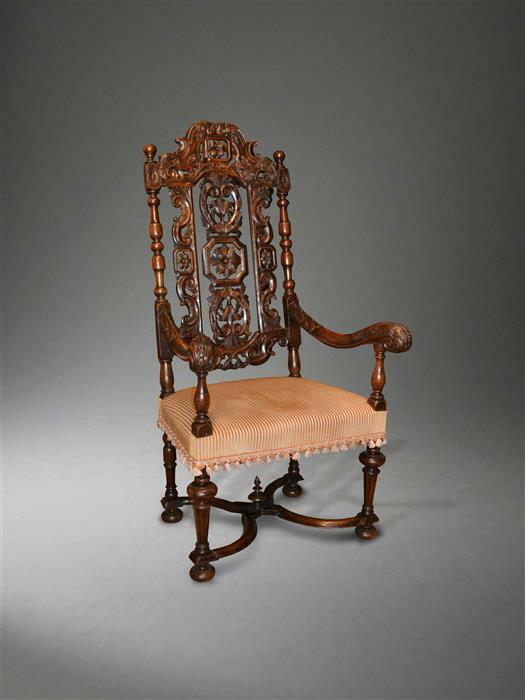 The second piece is a very impressive William IV walnut armchair in the style of Daniel Marot. It has an intricately carved back, downswept arms, upholstered seat and X stretchers. It stands 54 inches high and is in excellent condition. SOLD. Both pieces are priced at £1250.